Uncrowned Community Builders™ :: Biography for George Archie Holt Sr.
Born on 4-9-1921. He was born in NewPort News, Virginia. He is accomplished in the area of the Arts. 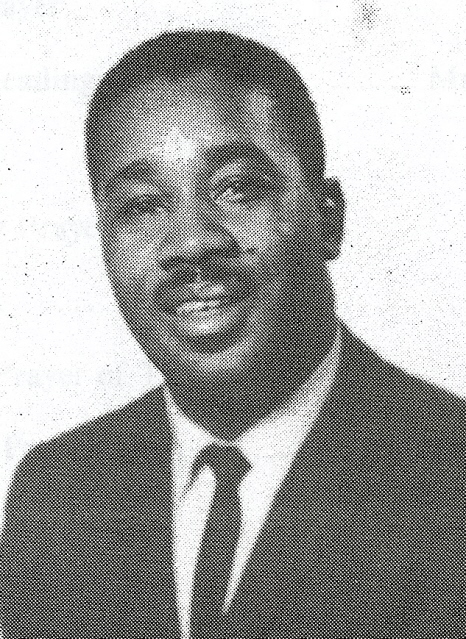 George Archie Holt, the only child of Archie Holt and Charlotte McClain, was born in Newport News, Virginia. A very talented musician, George was first introduced to the trumpet at ten years of age while a student at School 75 in Buffalo, New York. His musical abilities were further enhanced while a student at Hutchinson Central High School. George's first job after graduation from Hutch was as a trumpeter with the J. Frank Terry Band in 1939 at the former McVanâ? ?s Night Club. He had numerous jobs, "gigging" all around town, including many years at the once famous Moon Glow club. In 1945 George received his first big break at the Savoy Ballroom in New York City, under the leadership of the Lenny Lewis Band. He then went on to play the trumpet in New York with the Cozy Cole Band for approximately nine years. In 1965, during his stint with Cozy Cole, George experienced the highlight of his career that included a six-month State Department sponsored tour of Africa. George returned to Buffalo where he continued his musical career at the well-known Anchor Bar, with the Johnny Gibson Trio. George played at the Anchor Bar for ten years until he retired his trumpet after suffering his first stroke in 1979. He was a life-time member of the Buffalo Musician's Association of Local 92 American Federation of Musicians and the Colored Musicians Club. George and the former Velma Peigne were married 48 years and raised seven children. They had two daughters, Lynn M. and Constance J. Coles and five sons, George A, Arthur R., Marlon G., Dale A.and Cornelius Stanford and sixteen grandchildren. George is interred in the Rosewood Mausoleum at Forest Lawn Cemetery.